Tomorrow I'll be heading to Live at Leeds, a one day festival that spans across the beautiful northern city of Leeds, (I guess the name says it all really). Rather than being in the middle of a muddy field, this is the kind of festival where artists will be playing in a range of venues across the city centre - from o2 academy, right through to the Leeds College of Music. Jess Glynne, Corinne Bailey Rae and We Are Scientists are among the list of artist playing over the day, so I'm looking forward to seeing such a wide variety of artists. SO I thought I'd share with you some of the things I'll be bringing! 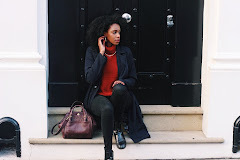 Thankfully The Blogger Programme kitted me out with a few essentials from some lovely brands. Before anything I always make sure I pre-pack the most important things - my ID and any train/entry tickets. Next comes water. Never under estimate the power of bottled water at a festival my friends. There's nothing worse than finding the perfect place to stand during a gig, and realising you need a drink and having to give up your spot in the crowd! Sunglasses. Is it me or has the weather this April been suffering from MAJOR mood swings? It looks all warm and inviting, and then you step outside and BAM - it's absolutely freezing. Despite the temperature, the weather has been consistently sunny over the past few weeks so I'll be packing these cute shades from BLOC eyewear. Noise reducing Ear plugs. The importance of these bad boys was drilled into us whilst doing my music performance degree. Hearing is a very precious thing that needs to be protected, particularly if you spend a lot of time around loud live music. These guys let in the right amount of noise whilst protecting you from that awful ringing noise you usually get in the morning! Moisturiser/balm. You never know when you're gonna need it! Comfy Shoes. These gorgeous shoes are from a lovely brand called Spats. You would NEVER know they're wellies as they have a chic chelsea boot vibe to them, making them perfect for the city and the countryside! I'm still waiting to see how the weather is tomorrow before finalising what footwear I'm going to choose, but these are definitely at the top of the list!